Resident Evil 2 has updated its controls and brought modern realism to this old favorite. Most players seem satisfied with the visual changes, including Leon and Claire’s redesign. But those who love mixing the old with the new can unlock the original costumes in the game, for free. This announcement arrived from the official Resident Evil Twitter account as a special Halloween treat. Get an in-game glimpse of these old outfits by watching the video below. Of course, that’s not the only outfit change available. If you buy either the Deluxe or Collector‘s editions of the game, you also get the option to rock Claire’s “Military” costume, Leon’s “Arklay Sheriff” outfit, and Claire’s “Noir” look. But with those looks tied to more costly purchases, this free option is a nice extra. For more Resident Evil 2 action, you can check out Capcom’s most recent Let’s Play which features Claire during her iconic boss fight against William Birkin. 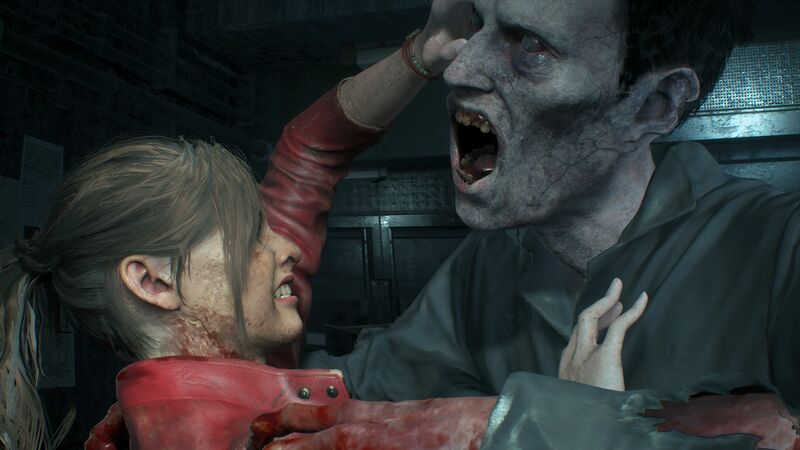 Additionally, you can read our hands-on preview from E3 2018 for our initial impressions of this revamped version of Resident Evil 2. Will you be changing into this throwback wardrobe when Resident Evil 2 releases on January 25, 2019, on the PlayStation 4, Xbox One, and PC? Take a trip down memory lane in the comments below.